SEGIP has a new look! We will phase in the new logo into all SEGIP communications over time. Learn more about the branding effort on the state’s portal. Tax season is here and your State-issued 1095-C will be available soon. This year the IRS requires that the 1095-C be in the mail by March 2, 2017. We will post a notice in Self Service and on the MMB website when the document is available to you. What should I do with my 1095? The IRS states that tax filers should keep 1095s with important tax documents. You do not need to include it with your tax filing. What is the 1095? 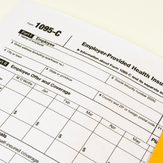 The 1095-C provides both the individual and the IRS information about the health insurance coverage offered by the employer. The form will be sent to any employee who worked full-time or received coverage through state employment at any point during 2016. For more information see our FAQs or call us at 651-355-0100. Congratulations! More than 30,000 state employees completed the StayWell health assessment during Open Enrollment and learned how their habits are impacting their well-being. More than 6,000 employees started a wellness activity and are using coaching and digital programs to stay on track with their goals. Talk to a health coach: With the support of your coach, you’ll develop an action plan tailored to you. 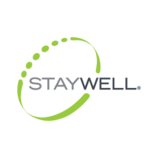 Try self-directed coaching: Kick bad habits with StayWell’s online, do-it-yourself coaching program. Complete a digital workshop: There are four workshops available, each covering a different topic and take less than 15 minutes to complete. To learn more, visit segip.staywell.com or call the StayWell HelpLine at 855-428-6320. Don’t lose your money! 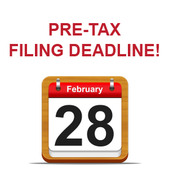 Get your 2016 pre-tax reimbursement requests in by February 28, 2017. If you miss this date you will not be reimbursed for 2016 expenditures. Pre-tax accounts include the Medical Dental Expense Account (MDEA), Dependent Care Expense Account (DCEA), Transit Expense Accounts (PKEA and BVEA). Questions? Contact 121 Benefits at 612-877-4321 or 800-300-1672 or visit their website. Make sure you only pay your parking and transit expenses once. The Transit Expense Accounts, PKEA for parking or BVEA for mass transit, are accounts used to pay your out-of-pocket, work-related parking and bus pass or van pool expenses on a pre-tax basis. You must re-elect these accounts each year. 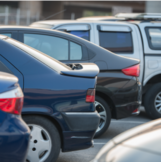 Separate from the Transit Expense accounts, many agencies allow the payment of parking and metro transit passes on a pre-tax basis through a payroll deduction. If your agency provides this service, do not elect a Transit Expense Account or you will be paying twice. You may still use these accounts if you have additional expenses not covered through your agency deductions. This might include the Northstar Line or a secondary parking location. If you have duplicate deduction, you should stop one of them so you don’t pay twice. You can make changes to the PKEA or BVEA at any time. Contributions already deducted cannot be refunded and are only available to reimburse valid expenses that have not already been paid on a pre-tax basis. Take a look at your paystub to see if you are paying twice for transit expenses or ask your agency payroll office if you are not sure. 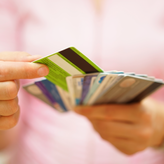 Post-holiday credit card bills can bring the Grinch right into the New Year. Our Employee Assistance Program can help! LifeMatters, our Employee Assistance Program (EAP), offers financial consultation to help you manage holiday bills. LifeMatters’ professional staff and online tools help you plan payments, budget, and can help negotiate with creditors. Use the budgeting tools on the Health Solutions website or call a LifeMatters’ financial consultant at 800-657-3719. 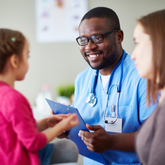 After each Open Enrollment, after changing clinics, or when you get a new card, check it to make sure the primary care clinic you selected is the one listed on your medical card. You may change your primary care clinic once each month. The change is effective the first day of the next month. Retroactive changes to clinic selections are not allowed. You can change your clinic by calling the customer service phone number on the back of your medical ID card. Use the clinic directory to find a clinic at the cost level you want.